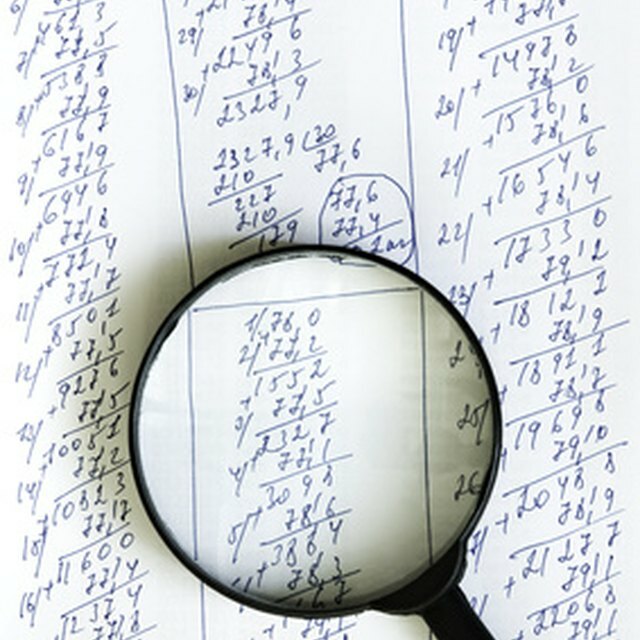 How Does Independent Internal Verification Work in Accounting? Independently verifying company accounting data means periodically sending an expert group to review the record-keeping practices of a segment, department or foreign subsidiary. This group may come from the internal audit department, but some companies adopt different hierarchical structures or operating configurations to monitor accounting work. For example, a business may establish an advisory function or internal consultancy department to root lingering inefficiencies out of specific processes, check cost accounting mechanisms or assist department heads in quality assurance work. Accounting verification may cover functions such as bookkeeping, financial controls, financial statement preparation and accounting compliance. To answer the operating challenges that often come with business accounting, top leadership takes an integrated approach that starts with segment-specific requirements and extends to personnel, process, operations, technology and regulatory conformity. At the beginning of the year, senior executives work with department heads and the company's auditor-in-chief, reviewing business units that could have record-keeping problems and may need external, in-depth investigation. From a risk management perspective, these units could clinch the "Tier 1" or "Tier 2" spots -- meaning, their accounting processes may cause the business to incur significant or more-than-average losses. After defining the risk level, the chief auditor assigns personnel to specific segments, asking them to check the way employees record transactions and verify that they do it in accordance with rules. The third step is discussing financial reporting issues with local management, after which auditors issue a report. To foster transparency and prevent conflicts of interest in the accounting verification process, reviewers-in-chief periodically rotate auditing personnel. These occupational gymnastics are beneficial, because they help auditors expand their knowledge in various fields, get exposure to other operating units and minimize the risk of collusion among reviewers and segment chiefs. The team performing internal assurance work is different, but the approach and review methodology generally remain the same. Scenario analysis is present throughout corporate accounting verification work, because reviewers constantly ponder what could go wrong, how to spot inefficiencies in financial reporting, and whether existing processes and mechanisms abide by the law or blatantly run afoul of regulations. These queries typically figure on the audit checklist, and reviewers attempt to get answers by handing questionnaires to personnel who work in the segment under review or periodically interact with its processes.